Just a quick post as I’m short on time. With all the discussion surrounding the ETS adoption of the Chicago statement, I thought I’d link to my old series on inerrancy. It goes without saying that my opinions on these matters are not inerrant (did I hear some of my more conservative friends shout ‘Amen’?! ), and my thinking has developed since then. To be honest, the podcast was never that great, and I would formulate things differently now. But apart from that, I still stand by the general thrust of these posts. Part 1. What I meant by inerrancy, and have Christians always believed it? Part 2. Does the bible assert its own inerrancy? Part 3. intro and main post. What errors in the bible? Part 4. The original manuscripts were inerrant? Part 5. Four more problems with inerrancy. Part 6. The concluding post in this series was a podcast suggesting a way forward. As I mentioned above, my thinking has, however, significantly developed since this was recorded, so I would reason things rather differently now – and that partly because of feedback and debate with you, my readers. Is the ‘Tilling Statement’ really a statement about inerrancy? Click here for the series outline. The thesis to be pursued in this chapter is very simple yet at the same time bold and highly original: ‘many of these named characters [in the Gospels] were eyewitnesses who not only originated the traditions to which their names are attached but also continued to tell these stories as authoritative guarantors of their traditions’. While it is perfectly intelligible why some persons in the Gospels are even named at all, with others an explanation is necessary. For example, why is it that Luke only names one of the disciples in the Emmaus road story (cf. Luke 24:18)? Other related questions shall be dealt with in chapters 5 and 8, but this chapter analyses ‘the presence in the Gospel traditions of names other than those of members of the Twelve and other than those of public persons’. If one of assumes Markan priority, then ‘material common to the three Synoptic Gospels therefore shows an unambiguous tendency towards the elimination of names’. The Johannine material adds a few names additional to those appearing in the Synoptics, and also identifies some left anonymous in the Synoptics. However, this should not be seen as a Johannine novelistic tendency for it cannot answer why John would leave quite a number of characters anonymous, especially when some of these characters are more prominent than those he names. Even in the extra-canonical Gospels there are only a few examples ‘of invented names for anonymous characters in the Gospels before the fourth century’ (though this argument assumes that one must not include the naming of characters that have been freshly invented within a narrative). Given the common Jewish practice of giving, within ‘rewritten biblical narrative’, names to characters not named in Scripture, the fact that Christians did not do this in the Gospel traditions is even more noteworthy. Bauckham himself concludes that most of the named characters in the Gospel traditions are original. Given that names tend to be the least well remembered elements of events, it follows that the Gospel tradition will evidence their reduction. This makes it all the more important to ascertain why some names have be kept in the narratives. In light of this evidence concerning the appearance and disappearance of names in early Christian traditions, Bauckham wants to suggest a ‘comprehensive hypothesis’ that enables one to account for the named characters in the Gospel traditions. In a nutshell he suggests that, with the exception of a few, the named characters are ‘people [who] joined the early Christian movement and were well known at least in the circles in which these traditions were first transmitted’. Not only is the assumption that many of these characters joined the early Christian communities in Judea or Galilee explicitly affirmed in a few cases (e.g. the four brothers of Jesus), but the sort of spread of people evidenced is exactly what one would have expected these earliest Christian groups to consist of. The tendency of Matthew and Luke to omit some of these names can be explained as a result of a realisation that some of them would have become, ‘by the time Matthew and Luke wrote, too obscure for them to wish to retain the names when they were engaged in abbreviating Mark's narratives’. Bauckham first examples this argument with reference to the character called Cleopas (cf. Luke 24:18; John 19:25 and Eusebius, Hist. Eccl. 3.11; 4.22.4). Three further cases lend strength to Bauckham’s case: ‘the women at the cross and the tomb; Simon of Cyrene and his sons; and recipients of Jesus' healing miracles’. For the rest of the chapter, Bauckham will analyse each in turn. Gladly, my paper at the Tübingen colloquium went well, and it gave me a good deal of pleasure that all agreed with the thrust of my thesis in affirming a Pauline divine-Christology. I was also glad to be informed by Prof. Lichtenberger (a delightful man, by the way) that the brilliant NT scholar, William Horbury, will be heading Tübingen-way next month to present a paper in honour of Martin Hengel’s 80th birthday. Oddly enough, I mentioned Horbury in my paper Monday evening, and though he is really not the sort of exegetical opponent one would want to have, I’m nonetheless convinced his take on early Christology is faulty. Thus I take issue with him at numerous points in my work. I’m sure looking forward to his lecture! I was also pleased to see how much dialogue has been generated below in the comments concerning the ETS adoption of the Chicago statement on inerrancy (and on blogs all over the place). David Wilkerson (from whom I learn a lot) wrote something in the comments that has stuck with me and I have taken the following from it: I would now speak about affirming the Scriptures as ‘true’ (not CS inerrant) without always having to feel that I need to be sure what I mean by such an affirmation. I suppose I wouldn’t feel comfortable anymore with any ‘statement’ qualifying inerrancy through a thousand deaths. Why the need? Can we define the concept of ‘childhood’ in propositions? Can we exhaust or capture the meaning of ‘sin’ or ‘love’ in propositions? Why should we feel able to express the truth of Scripture in just such a way without either missing the point or even getting it ‘one size fits all’ wrong, as arguably the Chicago statement does? The ETS can of course make all the doctrinal definitions they want - that is up to them. They are defining the limits of what counts as evangelical within their own society, not worldwide (did someone say ‘thank God!’?). But their actions still send out a message to all evangelicals, so perhaps others need to be reminded – and I’m pretty sure many members of the ETS will agree with this – that while numerous things, not least believing the evangel of Jesus Christ, make an evangelical, one is not qualified or disqualified as an evangelical because, to put it bluntly, one does or does not happen to believe that the bunnies literally hopped up into the Ark two-by-two (cf. Article XII). 1) ‘We will try to read forwards from the first century rather than backwards from the twenty-first century … We must also make an attempt at a much harder task, which is to imagine that we share their ignorance about what lies in the future’ (3). 2) ‘New Testament apocalyptic relates meaningfully to the world as it was seen from the first century’ (4). 3) NT ‘apocalyptic is thoroughly allusive … [and] borrowing language and imagery is not inconsequential but must be taken into account in at least three important respects’ (6). ‘First, it brings into view a surrounding argument or narrative that is likely to have a significant bearing on how the New Testament argument or narrative is to be interpreted’ (7). ‘The borrowing is virtually an admission on the part of the author that the future is not seen clearly … If we find, for example, that Jesus describes what is going to happen in terms of what has already taken place, this is surely because he is less concerned to give a literal account of events than to draw attention to certain underlying theological continuities’ (7). OT prophecy is often better understood not as fulfilment but as reapplication. 4) He ‘will endeavor to construct an integrated and consistent apocalyptic narrative for the New Testament’ (8). This last point is reflective, of course, of the wider problem concerning how one constructs an argument. What comes first, context or context, and how do they relate? For Perriman, important is ‘narrative coherence’ as ‘not every interpretation can be properly defended on intrinsic grounds, either because we lack space or because texts out of context are often irreducibly ambiguous. It is important that we do not lose sight of the wood because we have our noses up against the bark of the trees’ (9). This last point hits on a massively controversial area. To no doubt over generalise, I suggest that German speaking scholarship is happier to leave inconsistencies in Paul, and to build either developmental hypotheses around this perception (cf. Schnelle. I.e. Paul changed his mind about this, that and the other, and this is perhaps why), or simply posit blatant contradiction. Anglo-American scholarship, on the other hand, tends to prefer to at least attempt a reading that bears in mind the intrinsic weight of the bigger picture as in a greater measure significant for understanding individual elements. Stunningly naïve or great marketing? ‘[T]he hermit tradition reached its pinnacle in Simeon Stylites. After such monastic achievements that he was expelled from a monastery to save the lives of his imitators, his cave was constantly besieged by fans. So, failing to escape outwardly from the world, he escaped upwardly. He took to living on a ten-foot pillar, but of course (whether you call it stunningly naïve or great marketing) this only swelled the crowds. So he extended it, until he was sixty feet in the air, and Syria’s major tourist attraction – the first hermit, it has been said, to achieve solitary confinement in public ... He finally descended after thirty-six years, dead’ !! A Short History of Christianity (Oxford, Lion: 2005), by Stephen Tomkins, p. 56. This is a helpful, short, lively and amusing account of Church history, even if Tomkins seems to have more time detailing the undisputable negatives, than mentioning the also indisputable positives. Still, it makes for the occasional chuckle! The final section of this chapter concerns an analysis of the difference between the scholarly understanding of ‘oral tradition’ and ‘oral history’. Part of the importance of the association of Papias’ statement with Luke’s Prologue is that ‘these informants - whether the Twelve or other disciples - were not only eyewitnesses but also prominent teachers in the early Christian movement’. However, the assumption in most scholarly discussion concerning the transmission of Jesus traditions orally is that this took place in collective groups, in the collective memories of anonymous communities, rather than with individual carriers of tradition, and thus ‘presupposes that the origins of the traditions were far removed, by many stages of transmission, from the form the traditions would have taken by the later first century’ [italics his]. Bauckham’s analysis of Papias’ statement is clear evidence against this assumption. While it is clear that Papias was collecting sayings at a time ‘oral history’ as defined above was becoming impossible, and thus dealt with traditions that were being transmitted beyond the lifetime of the original eyewitness, ‘we can certainly suppose that Papias, with his aspirations to best historical practice, would have valued particularly those traditions that the Elders had received directly from named disciples of Jesus’. Papias was concerned to hear what the elders said the disciples said/were saying, and not what surfaced in the collective memory of churches. While such community tradition certainly existed, this did not, and this is Bauckham’s argument in a nutshell, exclude or take the place of individual carriers of tradition. [Hence contra Dunn: J. D. G. Dunn, 'On History, Memory and Eyewitnesses: In Response to Bengt Holmberg and Samuel Byrskog,' JSNT 26 (2004) 483-484 and Jesus Remembered [Grand Rapids: Eerdmans, 2003] 198-199 n. 138] Indeed, the general scholarly presuppositions about oral transmission neglect the importance played by often very mobile individual leaders. [I refer the reader to the book edited by Bauckham in which it was argued that ‘the Gospels were written with the intention that they should circulate around all the churches’, and not simply for a specific church or group of churches such as the so-called Markan community, Johannine community etc (The Gospels for All Christians: Rethinking the Gospel Audiences, ed. Bauckham [Edinburgh, T&T Clark: 1998], p. 1)]. ‘We might well ask why, if Gospel traditions were known as the traditions told by specific named eyewitnesses, they are not attached to such names in the Gospels themselves? Perhaps they are. Perhaps we need to look at the names in the Gospels more carefully and with fresh questions’. In the following chapters Bauckham will address just such concerns. "This video would have been funny if it happened at a different time and different place. Baptism symbolizes the cleansing of sins and the union of the believer with Christ in His death, burial, and resurrection so that he becomes one of Christ's faithful, I am very sorry to say; it is obvious that neither this young man nor the audience -- who were cheering, laughing, and clapping their hands -- understands the seriousness of baptism"
Probably right, I suppose, but this just made me laugh all the more! This Monday evening I’ll be presenting a paper in Tübingen on ‘Christology and 1 Cor 16:22’, at the ‘English-German Colloquium in New Testament’ (the forum formerly known as Das Kolloquium für Graduierte). Among others, the author of one of my favourite NT introductions is in Tübingen at the moment and has taken part in the Colloquium thus far, so I look forward to hearing his feedback. However, I realised that may paper just wasn’t long enough for a good 45 minute presentation followed by a 30-40 minute discussion. I originally thought that I could perhaps simply waffle a bit about my thoughts on 2 Cor 5:21 if we ran out of things to talk about, but that just didn’t seem appropriate. So instead, tonight, I had fun writing, among other things, the following extended and self-indulgent ‘introduction’ which echoes deliberately with vocabulary I use in the conclusion. The text continues, but you get the idea! Not your normal NT paper intro! It was fun to write, and even more enjoyable to echo in the conclusion. Though I’ve now run out of time to respond to your comments to previous posts tonight. Fn 1. Cf. Eberhard Busch, Karl Barth: His Life from Letter and Autobiographical Texts, trans. John Bowden (Philadelphia: Fortress Press, 1976), 46. Fn 2. Cf. the summary of the episode in Heinz Zahrnt, Die Sache mit Gott: die protestantische Theologie im 20. Jahrhundert (München: Piper, 1966), 16. Fn 3. Zahrnt, Sache, 18. My friend Jim West brought this to my attention earlier today, and though I am an evangelical myself I believe this is a deeply disturbing development. I’ve just ranted my full frustration about this to my dear wife so I won’t repeat all that here. But while it is crucial to formulate our doctrine of Scripture so that it encourages respect for the texts and expectancy that God speaks through them, lets not pretend the texts are something they are not (and this business about perfect original manuscripts is a self defeating position, as I discussed here). This is a step back, guys, and will only exclude those who are committed to church, Scripture and the gospel, those who are a vital, God fearing, creative and life-giving part of your own tradition. In truth this breaks my heart and is, in my opinion, a sign of immaturity. An earlier (and less well presented) version of Bauckham’s argument in the second chapter can be found in his article in the inaugural Journal for the Study of the Historical Jesus (for which I translated an excellent article written by Rainer Riesner: Back to the historical Jesus through Paul and his school, 1. 2003, 2. - page 171-199). The chaps at Apollos.ws have uploaded the whole article here, and the relevant pages are pp. 31-44. Papias was a third-generation Christian, ‘and therefore to a generation that had been in touch with the first Christian generation’, who, in his last years, lived in Hierapolis. The passage Bauckham analyses is from the prologue to his major work, Exposition of the Logia of the Lord, as recorded in Eusebius (of Caesarea), Hist. Eccl. 3.39.3-4. Bauckham’s translation can be found on page 31 of the above linked to article, and it will be important to keep that before you as I summarise his case. 2) The date about which the material testifies (arguing that it speaks about a period around the 80s – even if it were written much later). This dating ahs the consequence that ‘what Papias says in this passage can be placed alongside Luke's reference to the eyewitnesses (Luke 1:2) as evidence for the way the relationship of the eyewitnesses to Gospel traditions was understood at the time when the Gospels were being written’. Of course, the immediate upshot of this line if reasoning is clear: ‘The oral traditions had not evolved away from them but continued to be attached to them, so that people like Papias wanted to hear specifically what any one of them said’. 3) The authenticity of the material. Not only does the geographical location of Papias (Hierapolis) suit very comfortably a collection of Jesus traditions, but the tone of the passage is quite modest, and is therefore unlikely a mere apologetic exaggeration. 4) The phrase, ‘a living and surviving voice’. This is not evidence of a prejudice against written materials in preference of oral tradition as many have supposed, but rather is alluding to a common proverb which meant to indicate that ‘what is preferable to writing is not a lengthy chain of oral tradition, but direct personal experience of a teacher’ - a typical piece of wisdom reflected in Greco-Roman historians such as Polybius. To appreciate Bauckham’s argument, that Papias prefers not oral tradition to books, ‘but access, while they are still alive, to those who were direct participants in the historical events - in this case “disciples of the Lord”’ it is necessary to understand that his reading of Papias is set against a historiographical background. While ‘a living and surviving voice’ points in this direction, Bauckham wants to argue that ‘Papias deliberately uses the terminology of historiographical practice’. Thus he also notes the significance of Papias’ use of the verb anakrinein, a word appearing in Lucian of Samosata’s historiographical work and prominently in that of Polybius. Furthermore, the first sentence of the Prologue, accepting Kürzinger’s revised translation, indicates that: ‘Papias is describing the stages of producing an historical work precisely as Lucian, in his book on how to write history, describes them’. However, it is to be noticed that Papias adds his own words to this proverbial historiographical wisdom alluded to in ‘a living and surviving voice’. Given the time concerning which Papias reminisces, and that the ‘voice’ refers to the very real voices of eyewitnesses associated with specific groups of people, the words ‘and surviving’ can be better appreciated. What Papias ‘seeks are the reminiscences of those who knew Jesus and in which the passage of time has now been such that few of those people are still alive’. Not only is this how Jerome understood Papias, but this would then make sense of the immediate context of the Prologue in which Papias mentions that which ‘Aristion and the elder John ... were saying (legousin)’. The ‘surviving voices’ here are thus like those mentioned in 1 Cor 15:6 (and cf. Joh 21:22, 23). Can anything good come out of Wales? Our friend, the Exiled Preacher from Wales (though we should be gracious and not blame him for being Welsh; it’s not his fault), has written a helpful summary/review of Vanhoozer’s newish work, The Drama of Doctrine. I read the first 100-200 pages or so of the volume and was distracted, so I’m grateful that I can read Guy’s summary to catch up with where I left off. Thus far I can confirm that it is an exceptional, excellent book and makes a buddle load of sense. The only other serious competitor to Vanhoozer’s approach is, I think, that of the cultural-linguistic model. But Vanhoozer rightly asks: if doctrine is nothing other than the grammar of the practices of the Christian community, then how can doctrine critically assess its own proclamation? I would have added something more explicit about the guidance of the Holy Spirit, but the point is in the emphasis. Here are the Exiled Preacher’s recommended posts who, being Welsh, comes from the small village of Gwywingethleeshlmosziopscheuwlesqusqe. I don’t usually like to spend much time on this sort of thing, but I’ll do so this once. It can be frustrating to read comments on Bauckham’s new book that come across so confident in criticism even though they arguably miss the point entirely. And though I would love to go through each and every argument raised on this blog, point by point, admitting a good point when it is made, and contesting those that are unfair, I just don’t have the time. But this once I wanted to try my best, with what time I have to hand, to make a few simply points in light of comments one reader has been making on my Bauckham posts, and which the same has been posting across blogdom. However, this is a plea, first and foremost, for proper listening and dialogue, especially as I know that I sometimes struggle to give some an honest hearing. I value the fact that one reader, Steven Carr, has such a different perspective on Bauckham than most others who visit my blog. To have (and listen to) different opinions can be refreshing and we should be able to learn from each other. This is the great benefit of blogging, I think. However, sometimes opinions can be so ingrained and negative that discussion doesn’t proceed, and I hope this post will facilitate future discussion. And I mean discussion! In this post thread I suggested to Steven that the ‘tone’ of his pronouncements were hardly encouraging dialogue. He then quickly responded (again at the bottom of that thread) – he perhaps has more time on his hands than me! – in such a way that invited response about more than the mere content of his propositions. My comments on his new points are in colour in italics below. To use the terminology of logicians, this sentence involves a non sequitur. I know plenty who have found his argumemnts hepful, and thus use them. You’re sure about that are you? Before I call your bluff, I think I am noticing a trend in your comments again that could be unhelpful. You cannot enter into dialogue with someone, and their arguments, unless you can respect the other. It can be a difficult thing, but it is necessary if we are to learn from each other. By the way, what you need to do now to prove you can dialogue is to admit that you got it totally wrong, and that you had this wide of the mark because, I think, you are not trying to truly dialogue. You are reacting like a Fundie, and I’m sure that is not what you really want. I simply could not believe how bad it was, how totally lacking it is in any idea of producing a testable hypothesis and testing it against actual data, or exploring the explanatory power of one hypothesis against another. Yes I have read it. The only point of weight here is that concerning the death of Bartimaeus (the rest is silly and totally unfair rhetoric for which I respond in this sentence accordingly). You are getting muddled between what Bauckham considers corroborative evidence, and the scholarly attempt to understand all the evidence in light of a particular scheme – something we all must do. In other words, this argument is a consequence of the position the main strands of evidence lead. In chapter 3 of Jesus and the Eyewitnesses, Bauckham makes clear that his argument that the name Bartimaeus is dropped by Matthew and Luke is simply an inference from the wider argument. Hence he uses the word ‘presumably’. His argument at this point is entirely plausible actually. It is not about ‘pulling stuff out of thin air’, as you claim. You need to respect a scholar if you can truly engage with them, to listen first. ‘Learned debate’ is more than reading another, it is also, as a first step, respectfully listening, truly listening to another. “Apart from making things up, Bauckham also selects his evidence to fit what he says. Bauckham writes 'In no case does a character unnamed in Mark gain a name in Matthew or Luke'. What about Annas and Caiaphas , I hear you cry? Well, Bauckham says he is excluding chief priests. Why? Why should chief priests not be relevant to Bauckham's hypothesis that people were named if they were well known to Christians at the time of writing. Silence. There is NO methodology. This, again, is not about arbitrarily making evidence fit what he says, and if you could try to really dialogue with Bauckham’s arguments, rather than just throwing ‘what an idiot’ type blanks at him, then you might have noticed this. Bauckham spends a while justifying his methodological considerations I think in chapter 3. Yes, there is methodology; I must flatly contradict you. Bauckham is trying to understand why some names came to be left out or added. If they are public people then it is no surprise if they get added to the tradition, especially when Bauckham provides good reasons as to why Mark would not mention the name Caiaphas, and why the name was only later added (cf. chapter 8 and the issue of ‘protective anonymity’ building on the work of Theißen). So, I think Bauckham's argument makes astonishing sense! All the time, whether with Caiaphas or those less well-known, Bauckham's goal is to ask why names are added or deleted from the tradition. He provides his reasons for the exceptional addition of Caiaphas, and likewise for those, which are the majority, of deleted names. Why were these names dropped? That is the question he is addressing. And this is why his methodological considerations fairly treat Caiaphas elsewhere. “Well, if you are going to ignore cases where that does happen, you can certainly claim there are no cases where that does happen. Making stuff up and cooking the data. These stabs only hit the target if you ignore the question he is addressing, what he does in fact treat elsewhere, and his methodological considerations! I will sound patronising now, by, hey, what the heck. You need to learn to truly dialogue and truly listen to the opinion of another. Especially when Bauckham’s learning is, lets be honest, considerably greater than yours in these matters. As to the sate of NT scholarship, you have clearly no idea. All the more reason to listen, instead of firing off ‘what an idiot’ type of comments that display only your lack of insight. Though I find some of your comments frustratingly Fundamentalist, I want to make it clear that I appreciate many of your comments and the fact that you have a different opinions on matters, for this is reason to listen to you. But do yourself a favour and listen carefully to others before you attempt criticisms, otherwise they’ll be as hopeless as the ‘he will produce no evidence for Matthew being Levi’! I'm sure you'll respond to this and attempt to take the above apart. But I only have time for response to matters of substance, and no more time for correcting complete misunderstandings and misrepresentations. If you rustle up only the latter, don't consider my silence evidence that your points are meaningful. And though I personally like Bauckham as a man as well as a scholar, I have no ground to defend him for the sake of it - I didn't wite the book -, so I appreciate all points of substance I will honestly think them through. So much for the potential consequences of Bauckham’s argument, if correct! To close the first chapter, Bauckham turns to analyse the contribution of the accomplished Swedish scholar, Samuel Byrskog, to the place of eyewitness testimony and the transmission of the Gospel traditions. Byrskog (how does one pronounce this name?) maintains, first, that eyewitness testimony played a crucial role in ancient historiography. As Bauckham summarises: ‘Thucydides, Polybius, Josephus and Tacitus - were convinced that true history could be written only while events were still within living memory, and they valued as their sources the oral reports of direct experience of the events by involved participants in them’. Also desirable was to participate within the narrated events themselves (as did e.g. Josephus) and it was not considered a hindrance if the eyewitness source was personally and passionately involved in the events detailed. All the better, actually! For as Byrskog argues, a ‘person involved remembers better than a disinterested observer’. Greek and Roman historians such as Thucydides and Polybius hence set a standard such that ‘Good historians were highly critical of those who relied largely on written sources’. Second, Byrskog maintains that eyewitnesses played a similar role in the transmission and formation of the Gospel traditions. Bauckham summarises that Byrskog ‘attempts to identify such eyewitnesses and to find the traces of their testimony in the Gospels, stressing that they, like the historians and their informants, would have been involved participants who not only remembered facts but naturally also interpreted in the process of experiencing and remembering’. Such eyewitnesses were people who could be consulted regarding the traditions they testified to, and testify not just the bare facts but also ‘the perspective and experience of oral informants’. However, while Byrskog’s work is a highly significant one, critics have suggested a few problems. In the historical argument of this book (chapters 2-17! ), Bauckham will take up the challenge of critically assessing such challenges and testing and developing Byrskog’s line of reasoning - in my view in tremendously original and helpful ways. ‘I do not think the Gospels were originally anonymous in more than the technical sense that the author’s name was not part of the opening text’. Well, I imagine that the author did know who had written it. But having no name in the document is only technically anonymous, is it? In fact there are contradictory 'carefully preserved' lists of the Twelve. Has anybody read 'Jesus and the Eyewitnesses' to see if Bauckham comes up with any arguments more cogent than those on the blog? Nice to read some feed back! I shall have a look at the precise evidence cited by Bauckham for ‘technical anonymity’ in due course. More importantly I want to register now that Bauckham spends almost an entire chapter dismantling the myth that the lists of the Twelve aren’t carefully preserved. Once again, I’ll cover that later. As regards the last question, Jesus and the Eyewitnesses is not yet released. Soon – hopefully for the SBL meetings –, but not yet. However, and this is a main reason why I post, I think I ought to make something clear: In case you were wondering, Richard has given me permission to start this series on the book before publication. And I won’t be giving too much away (it is 500 pages after all! ); I have already mentioned the reasons why I am detailing the first chapter in more depth. Rather than simply writing posts on Chrisendom so that there is an excuse not to buy the book and read it for yourselves I hope that my posts will ‘whet the appetite’ of those considering buying the book to dig into the details of the arguments for themselves. Richard can’t justify every bold claim in an interview - that is why he wrote the book -, and neither can I in this series - that would be copyright infringement! This is the second of three parts concerning the first chapter of Bauckham’s Jesus and the Eyewitnesses. I am spending more time detailing this chapter than I will others simply because the points covered serve as the foundation for all the detailed historical and exegetical reasoning that follows. And if one isn’t clear where we are heading and why, the wood will be lost for the trees. Chapter 1. 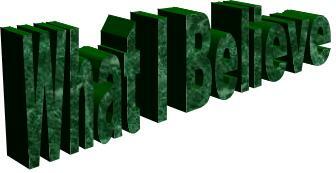 From the Historical Jesus to the Jesus of Testimony … continued. This leads to the stunning conclusion: ‘[I]n imagining how the traditions reached the Gospel writers, not oral tradition but eyewitness testimony should be our principal model’! ‘It is the contention of this book that, in the period up to the writing of the Gospels, Gospel traditions were connected with named and known eyewitnesses, people who had heard the teaching of Jesus from his lips and had committed it to memory, people who had witnessed the events of his ministry, death and resurrection and themselves had formulated the stories about these that they told. These eyewitnesses did not merely set going a process of oral transmission that soon went its own way without reference to them. They remained throughout their lifetimes the sources and, in some sense that may have varied for figures of central or more marginal significance, the authoritative guarantors of the traditions they continued to tell’ (Jesus and the Eyewitnesses, chapter 5: The Twelve). Bauckham’s opening discussion concerns the question as to what one means by the term ‘historical Jesus’. He notes one option is to understand ‘historical Jesus’ to mean ‘Jesus insofar as his historical reality is accessible to us’. But, and this leads one to the key dilemma involved in ‘historical Jesus’ questing, what counts as accessible evidence? Christian faith has traditionally trusted the texts of the Gospels to give us reliable knowledge of Christ and so ‘it is hard to see how Christian faith and theology can work with a radically distrusting attitude to the Gospels’. 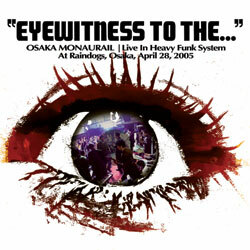 In the following sub-section, Bauckham thus develops what he means with this key category of ‘eyewitness testimony’. In insisting the sense in which the Gospels should be understood as testimony, he argues that testimony asks to be trusted, not uncritically, but neither solely upon independent verification. While ‘trusting testimony’ is often regarded ‘a stumbling-block in the way of the historian’s autonomous access to truth that she or he can verify independently’, Bauckham correctly notes ‘all history, like all knowledge, relies on testimony’. This leads him to his first claim: ‘We need to recognize that, historically speaking, testimony is a unique and uniquely valuable means of access to historical reality’. His second claim is no less insignificant: ‘Testimony is the category that enables us to read the Gospels in a properly historical way and a properly theological way. It is where history and theology meet’. * [Fn 1] At this stage in the argument I wondered if I was actually reading something penned by Josh McDowell! * [Fn 2] OK, so I’m not reading Josh. 1. From the Historical Jesus to the Jesus of Testimony - part 1, part 2, part 3. 2. Papias on the Eyewitnesses - part 4, part 5 (Richard’s comments on the generated discussion). 3. Names in the Gospel Traditions - part 6, part 7 (Bauckham responds II). 4. Palestinian Jewish Names - part 8 (Bauckham responds III). 5. The Twelve - part 9, part 10. 6. Eyewitnesses “from the Beginning” - part 11, part 12, part 13. 7. The Petrine Perspective in Mark - part 14, part 15, part 16. 8. Anonymous Persons in Mark's Passion Narrative - part 17 (Bauckham responds IV). 9. Papias on Mark and Matthew - part 18. 10. Three Models of Oral Tradition - part 19. 11. Transmitting the Jesus Traditions - part 20. 12. Anonymous Tradition or Eyewitness Testimony? - part 21. 13. Eyewitness Memory - part 22. 14. The Gospel of John as Eyewitness Testimony - part 23. 15. The Witness of the Beloved Disciple - part 24, part 25. 16. Papias on John - part 26. 17. Polycrates and Irenaeus on John - part 27. 18. The Jesus of Testimony - part 28. *(Nervous after thought mode on) I would add: This is just my attempt at a summary and review of Bauckham’s important work; I cannot guarantee that I will represent his arguments fairly all of the time. The only way to be sure, of course, is for you to purchase and read the book for yourself! **Also see here for my Q&A session with Richard Bauckham about the book. My thanks to Richard Bauckham for having taken the time for the following Q&A ‘interview’ on his eagerly anticipated and soon to be published Jesus and the Eyewitnesses. (1Question) Chris Tilling: In a nutshell, what is the main argument of Jesus and the Eyewitnesses? (1Answer) Richard Bauckham: It’s hard to put 500 pages in a nutshell! There is a historical argument and a theological argument, both centred on the notion of eyewitness testimony. The historical argument (most of the book) is that the eyewitnesses of the events of the Gospel history remained, throughout their lives, the authoritative sources and guarantors of the traditions about Jesus, and that the texts of our Gospels are much closer to the way the eyewitnesses told their stories than has been generally thought since the rise of form criticism. I also argue that the Gospels have ways, largely unnoticed before now, of indicating their own eyewitness sources, and I present new evidence for believing Papias’ claim that Mark’s Gospel was based on Peter’s preaching. Although the book’s conclusions support rather traditional views of the Gospels, much of the argument is quite fresh. The book also breaks new ground in Gospel studies by engaging with modern psychological research on eyewitness memory. The theological argument is that the category of testimony offers a category for the Gospels that is both historiographically and theologically appropriate, and a way beyond the dichotomy of the Jesus of history and the Christ of faith. Jesus as presented by eyewitnesses participants in his history, for whom empirical fact and meaning were interrelated from the beginning, are the kind of access to Jesus that Christian faith requires. (2Q) CT: What first provoked your thinking to study the role of eyewitness testimony in early Christianity? When did you first suspect there was need for a fresh study? (2A) RB: There are at least three roots of the argument in my previous work. One is an approach to the issue of names in the Gospels, on which I have had some ideas for some time that I have not developed until recently. Here I have taken advantage of our rapidly advancing knowledge of name use among Palestinian Jews, for which Tal Ilan’s Lexicon is an invaluable resource. Secondly, some time ago I became convinced that what Papias had to say about the eyewitnesses and the Gospel traditions had not been properly understood. I brought these two strands of thought together in an article I wrote for the inaugural issue of JSHJ. I then began to think about developing them into a short book – a suggestive sketch rather than a definitive study. But then one thing led to another as I found myself, for example, realising that form criticism was wrong about almost everything, and the book grew to 500 pages. In the course of that I also brought I into play ideas about the authorship and origins of John’s Gospel that I had been pursuing for fifteen years, and these became the third root of the argument of the book. (3Q) CT: How does the category of eyewitness testimony help to bridge the gap between the so-called historical Jesus and the Christ of faith? (3A) RB: The Jesus of history/Christ of faith distinction is used in more than one way, but if we take it as an epistemological distinction (what we know by historical research or by faith) then I think ‘the Jesus of testimony’ avoids the dichotomy in a way that enables believers to integrate faith and history. It is a mistake to suppose that we can dig behind the Gospels historically and reconstruct a purely historical Jesus who could be of any significance or interest for faith. Like most historical evidence, what we have is testimony, and it is the kind of testimony ancient historians most valued: the testimony of involved participants who spoke of the meaning of events they experienced from the inside. Dispassionate observers are not the best sources for much of what we want to know about history. Especially with uniquely significant, history-making events, where crude ideas of uniformity in history break down, we need testimony from the inside. The Holocaust is the signal modern example of an event we should have no real conception of without the testimony of survivors. Moreover, trusting testimony is a normal, perfectly rational thing to do. One can try to test the reliability of witnesses, but then they have to be trusted. We cannot independently verify everything they say and that’s the point of testimony. So while I’m not trying to remove faith in the special sense of faith in God and in Jesus or that such faith is response to the disclosure of God in the Gospel history, I do think that historiographical and theological considerations converge in the nature of the Gospels, rather than tearing faith and history apart. (4Q) CT: You argue that the Gospel of John was written by John the Elder, an eyewitness who had been with Jesus for his entire ministry. How should one then account for the differences between the Fourth Gospel and the Synoptics? (4A) RB: I think the Beloved Disciple, the author of the Gospel, was the man Papias called John the Elder, who had been a personal disciple of Jesus (the older tradition of attributing the Gospel to John the Elder did not reckon with this) and one of the last of such disciples to survive. I take the view that he was a Jerusalem resident who, although committed to Jesus from early on, probably did not travel with Jesus like the Twelve. But he would of course have been close to disciples who were eyewitnesses of events he did not himself witness. The named disciples who are prominent in John are largely different from the named disciples who are prominent in the Synoptics, and I take this to indicate that the circle(s) of disciples in which the Beloved Disciple moved were different from those from which most of the Synoptic traditions derive. This (along with the fact that I think John expected most of his readers to know Mark and so did not repeat Mark without specific reasons for doing so) accounts for the different narrative material in John. As for the discourses and dialogues of Jesus, I think John adopted a different approach to representing the teaching of Jesus in a narrative. He includes traditional sayings of Jesus but expands on them in extensive, reflective interpretation. The much greater interpretative element in John is actually quite coherent with my claim that this is the only Gospel to have been actually written by an eyewitness. Precisely because he had been close to Jesus he felt qualified to interpret Jesus. (5Q) CT: The eyewitness inclusio you argue is evident in Mark and consciously appropriated and changed by John and Luke, is not present in the Gospel of Matthew. What is the significance of this for our understanding of Matthew’s Gospel? (5A) RB: I’m not sure of the answer to this! Matthew’s Gospel remains for me the most puzzling of the four. It does not use the inclusio of eyewitness testimony, but it does have, like Mark and Luke, the carefully preserved list of the Twelve, which I think in the Synoptics points to the Twelve as the source of many of their traditions. It also highlights the apostle Matthew by adding the description ‘taxcollector’ to his name in the list and by transferring to Matthew the story of the call of a taxcollector that Mark tells of Levi. Matthew cannot have written the Gospel but he must have had some connexion with its origins. I do not think the Gospels were originally anonymous in more than the technical sense that the author’s name was not part of the opening text. I’m glad to announce that I will be starting my series on Richard Bauckham’s Jesus and the Eyewitnesses (Eerdmans) next week. I will start by posting the promised ‘interview’ with Richard about the book, which he was kind enough to make the time for. In a nutshell, what is the main argument of Jesus and the Eyewitnesses? What first provoked your thinking to study the role of eyewitness testimony in early Christianity? When did you first suspect there was need for a fresh study? How does the category of eyewitness testimony help to bridge the gap between the so-called historical Jesus and the Christ of faith? You argue that the Gospel of John was written by John the Elder, an eyewitness who had been with Jesus for his entire ministry. How should one then account for the differences between the Fourth Gospel and the Synoptics? The eyewitness inclusio you argue is evident in Mark and consciously appropriated and changed by John and Luke, is not present in the Gospel of Matthew. What is the significance of this for our understanding of Matthew’s Gospel? Finally, if you visit the Eerdmans webpage you will find that the ‘reviews’ tab has been updated with comments about the book from N. T. Wright, Graham Stanton, James D. G. Dunn and Martin Hengel. Stanton claims the book ‘shakes the foundations of a century of scholarly study of the Gospels’ and rightly points out that ‘There are surprises on every page’. Meanwhile, Hengel also lavishes heavy praise in writing: ‘I have not read such a stimulating monograph about Jesus research in a long time’, calling it ‘a pioneer work’ which ‘ought to be read by all theologians and historians working in the field of early Christianity’. By the way, when the likes of Hengel writes of a work that it displays ‘broad learning’, ‘high scholarly standards and astute arguments’, you realise that this is a work to be taken very seriously. As I wrote to Richard in personal correspondance: ‘Personally speaking, reading your book has been a highly stimulating and educational experience, and I’m very excited to see how it will be received. To be honest, I’ve not read a book before with such a power blend of broad learning, careful and economic exegesis, and theological refinement’. I was surprised no one could tell me who wrote the ‘guess the author’ text cited here. I was particularly astonished that Dan didn’t manage to guess, especially as he is usually the ‘warmest’ of those who attempt. Even more so as the citation came from the book he purchased for me a couple of weeks ago! Yes, the quote comes from Moltmann’s The Trinity and the Kingdom! This is an immensely enjoyable and stimulating book, and thus far I’ve found it more ‘worship provoking’ than his other works. Thanks again, Dan! UPDATE: Upon reflection I thought it appropriate to dedicate this post to my good friend, Alex Obergaßner, who often scares the crap out of me just like this. It’s late, but just a thought about Wright’s interpretation of 2 Cor 5:21 before I assess D. MacLeod’s critique. Some suggest that the parallelism in 5:21 (Christ becoming sin, us becoming righteousness) makes the imputation of Christ’s righteousness to the sinner a certainty (cf. off of the top of my head e.g. John Piper’s treatment in Counted Righteous in Christ). However, the verse actually speaks of the righteousness of God, not Christ, so already there are seeds for suspicion. Indeed, another way of appreciating the force of the parallelism and the point of the i[na (‘so that’) suggests itself. My suggestion involves the structure of the context, and the implications of this context for the point behind the i[na in 5:21. The construction I want to draw attention to is not difficult to spot, but it develops and strengthens Wright’s argument concerning the context of the verse. The pattern is clear. After Paul speaks of the content of the message, God’s reconciling activity in Christ, he repeatedly and immediately turns to describe his ministry. This pattern works through verses 18-20, and so is well established by the time we confront v. 21. Hence, when Paul starts off this verse with mention of the content of the message (21a), the text following the i[na would naturally be expected to make a statement concerning Paul’s ministry. If to ‘become the righteousness of God’ in 5:21b was a further statement of clarification concerning the nature of God’s reconciling activity, the i[na could be understood as rather misleading given the context and the established dual pattern of thought. In other words, the ‘message’/‘Paul’s ministry’ structure would be dropped, precisely when it would be expected, namely in a i[na construction following three verses evidencing precisely this dual pattern. What one would expect, of course, is a statement concerning Paul’s ministry, which is, according to Wright’s reading, what one finds. This suggestion thus weighs against the argument that Wright’s position fails to take account of the fact that the context also deals with the content of the message, and not just Paul’s ministry. While the content of the message is indeed part of the context, it is precisely so in conjunction with statements concerning Paul’s ministry. And the structure would suggest that a i[na following a statement concerning the message of reconciliation would lead to that which the ‘message’ statements have been paired with throughout, i.e. a statement concerning Paul’s ministry. This is not, I suggest, about mixing context and content. Rather, this is simply the task of exegesis, to understand the relations in a passage given its context. In a similar way, for example, in my own research I have attempted to shed new light on the difficult verse, 1 Cor 7:35 by detailing how the semantic relations of this verse are anticipated in 7:32-34. The ‘new creation’ mentioned in 5:17 is another contextual factor that weighs heavily in favour of Wright’s argument, but that is another post – and its getting late now. Admittedly, the above argument needs to be sharpened, but I hope the basic point is nevertheless clear. Thought provoking debate has proceeded in the comments of my post presenting my poem on responses to the Pauline ‘New Perspective’, with none other than a certain ‘n. t. wright’ himself contributing to the discussion. Update: I just realised, this is my 400th post for Chrisendom! 400 posts of solid scholarly brilliance and humility. One reader asked for the references used by Pitre in support of his ‘return from Exile’ theory. He adds: ‘Unlike the Babylonian exiles, the ten tribes of the northern kingdom had never returned to the promised land. Because of this, many Jews at the time of Jesus were still waiting for their return’ (34). He also rather illuminatingly notes Isa 11:10-16, Jer 23:5-8 and Ezek 37:15-28 in this context – OT texts which ‘envision the Return from Exile as a restoration of all twelve tribes’ (37). In an interesting excursus he examines Wright’s ‘End of the Exile’ theme. Wright’s proposal, that even those Jews living in the land were thought of as ‘in Exile’, has come in for some stinging critique from the likes of Dunn, Downing and Casey. Nevertheless, Pitre maintains that Wright’s position can still be maintained albeit with necessary adjustments. ‘Wright has the right insight’, he argues, ‘but the wrong exile. The Jews of the first century were certainly waiting for “the End of the Exile” – but not the Babylonian Exile. Rather, they were waiting for the end of the Assyrian Exile’ – and the restoration of all twelve tribes to Zion. - A clue: Brunner didn’t write it! This time, Sean the Baptist points to free online access to the Pseudepigrapha in the original languages. The Online Critical Pseudepigrapha is, however, only in developmental stage at the moment, but it promises to be most useful. First, according to Wright’s scheme I think it is clear why sin would still be paralleled with righteousness. The ‘power of sin’ as a slave master (cf. here Lichtenberger’s analysis of sin in Das Ich Adams und das Ich der Menschheit, Tübingen: Mohr Siebeck, 2004) finds its solution in the faithfulness of God to his promises fulfilled in the proclamation of Christ as Lord. In otehr words, the parallelism is hardly ‘destroyed’! Besides, if sin is injustice, and not only ‘personal’, then the parallelism fits Wright’s scheme better than Harris’. At the most it could be claimed that sin offering language (sacrificial and from the cultus) is not well paired with covenantal language (something Harris claims in the commentary), but even this would be to divide what should be seen together. I don’t believe we should speak of the sacrificial system ‘over there’, and the covenant ‘over here’, as if separated by a chasm. Both are part of the same story and divine plan, and dovetail with one another at various points (cf., off the top of my head, the prayer of Solomon in 1 Kings and 2 Chron) . It would be as wrong as wanting to divide creation from covenant, as MacLeod appears to attempt. Lastly, Harris doesn’t give due credit to the matter that, in my view, is decisive. Wright’s argument makes much better sense of 5:21 in the immediate context. Becoming ‘the righteousness of God’ thus is saying much the same thing as having been given ‘the ministry of reconciliation’ (5:18), and rounds off the previous verses far better than if we understand our verse as referring to imputed righteousness. None of this should detract from my judgment that Harris’ commentary is an essential for any 2 Cor research. He is particularly strong, brilliant even, in his syntactical analyses. My next post will respond to the equally disputable criticism of Wright’s argument as presented by D. MacLeod in his 2004 SBET article (22/2, p. 173-95). Crikey, so I’m a NPP loving sinner, eh? To answer my own question, to an extent I guess I am, though I would want to qualify my position. But the big question is: does that mean I’m going to hell? First, a HUGE thanks to Dan for his generous birthday gift! 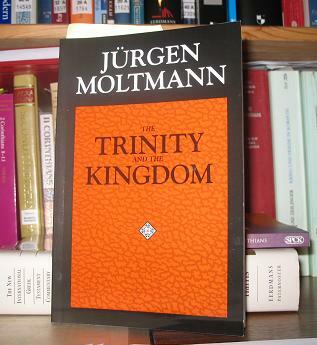 Jürgen Moltmann’s The Trinity and the Kingdom most gladly arrived in the post, and I can’t wait to get into it! Many many thanks, Dan! Before my innuendo chip blows up, I have to note that a very juvenile minded friend of mine has recently been abusing Google’s search feature to land on certain biblioblogs with some rather amusing searches (intending to scare the crap out of the blog owner, if they care to look at the sort of searches landing on their blogs). The friend, who shall remain unnamed (Si *cough* mon), landed on Steven Harris’ blog recently with some searches that I wouldn’t repeat here, but of course I would never do anything so immature. For those of you who don’t know what the heck I’m talking about in the last paragraph, don’t worry; you’re not missing much. Oh, and another thing. I decided to become a Catholic today. Yep. A big papal ‘thumbs up’, a nice dollop of Pope-loving, and I’m a red robed, hat wearing, ground-kissing, staff swinging counter-reformation papist. Admittedly, in about half an hour I’m back to being protestant. This was only a short-lived jaunt into the realms of Romism; but it was the only way I could justify taking a break from my work on All Saints Day (a Catholic holiday). Some may call this intellectual dishonesty. I call it pragmatic intellectual flexibility.